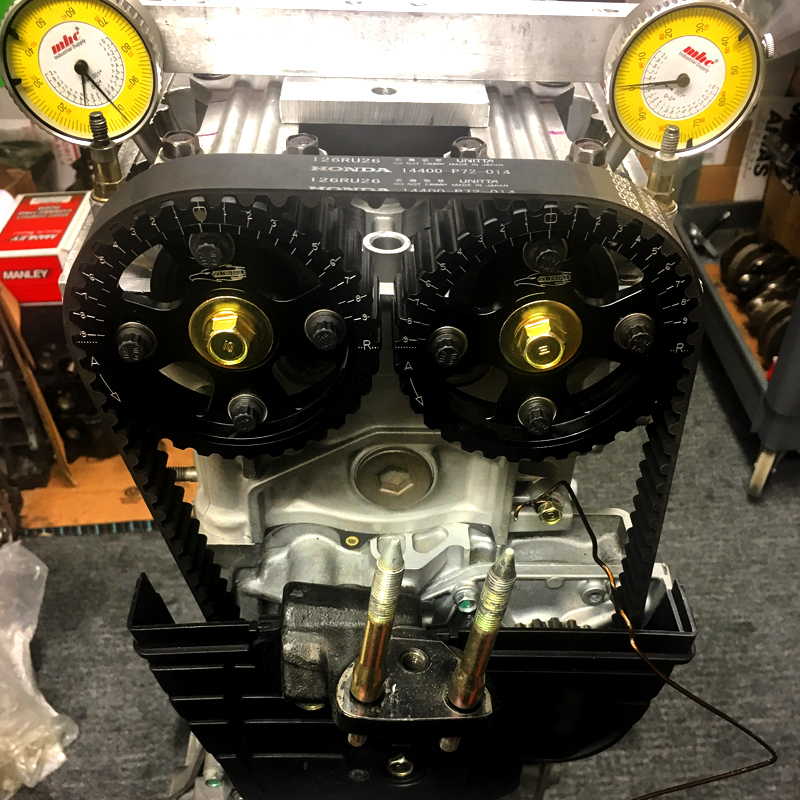 The purpose of checking or degreeing in the camshaft inside the engine block is to figure out if the camshaft is installed in the correct relationship or phasing with the crankshaft. It is extremely crucial that the timing is properly done in order for a healthy engine. Cam degreeing is a service we offer that we do not take lightly. We carefully make sure the job is done properly so that we get in done perfect every time.